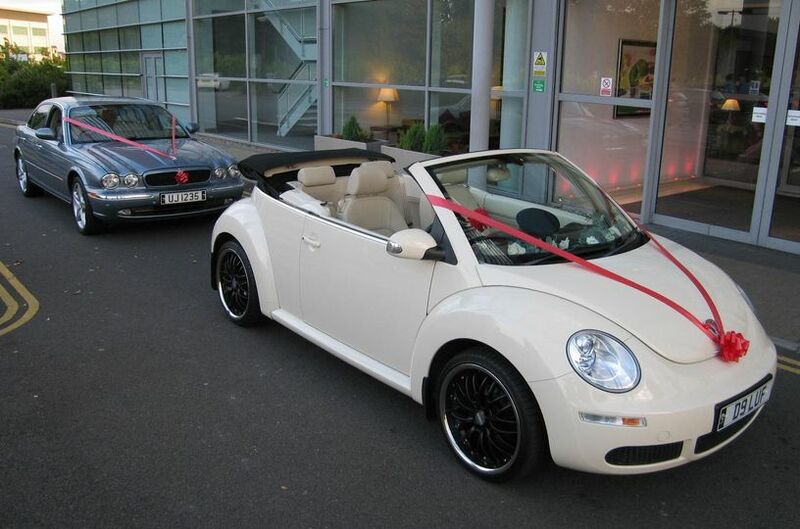 Leicester Wedding Cars ARE YOU A SUPPLIER? 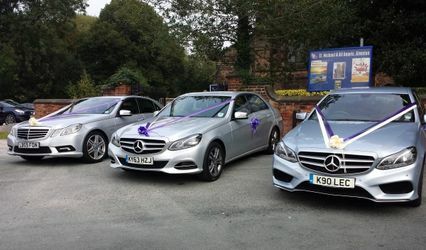 Founded in 1999, Leicester Wedding Cars has provided excellent service to many hundreds of happy couples over the last 20 years. They will be focused on you and with only hiring a car once per day, you can be sure that you will have their full and undivided attention. They have worked at all types of weddings, so just let them know what you have been planning and they will help your dreams come true! 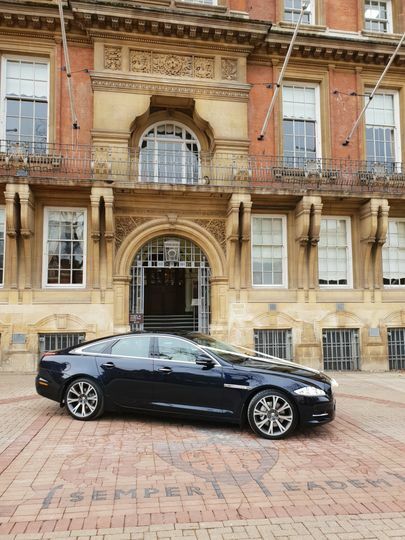 Leicester Wedding Cars' fleet includes the latest stunning Jaguar XJ in midnight blue with cream leather interior, a VW Beetle Convertible in cream with cream leather and a silver People Carrier with room for six passengers. 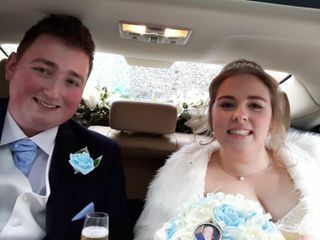 Their cars are all chauffeur driven and come supplied with ribbons & bow from a selection of colours and the happy couple will be given a champagne drive after the ceremony. Let them have your date, the collection area, the ceremony and reception locations. Postcodes for each would be very helpful. They will then do the rest. They can then give you a price for their cars and services based on exactly what you want. 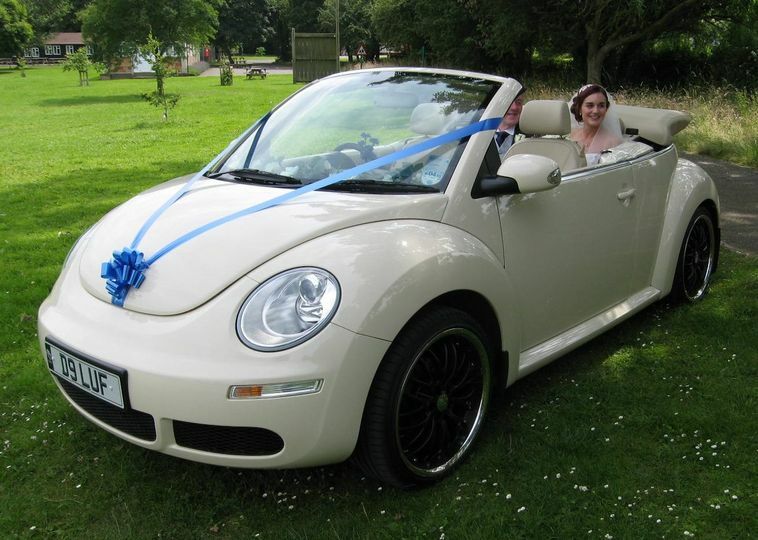 This company can also provide car hire for anniversaries, birthdays, school proms, or other special occasions. 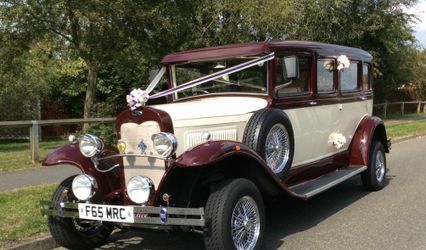 Leicester Wedding Cars can serve couples in and around Leicestershire, Rutland, Warwickshire as well as all the East Midlands areas. 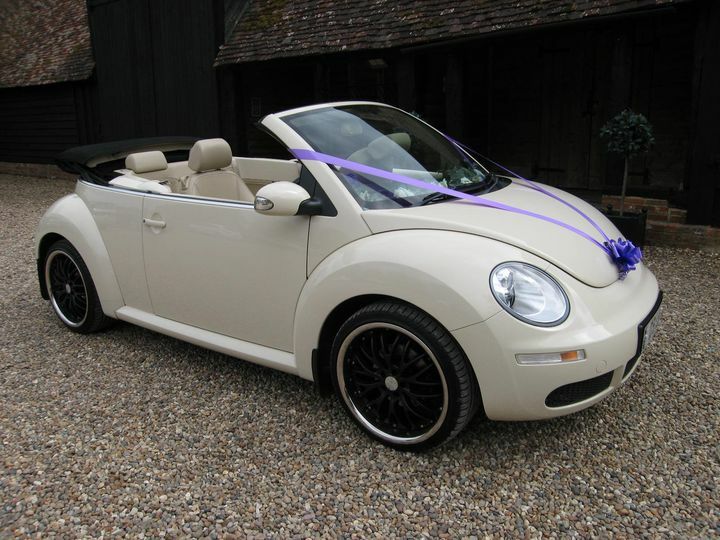 I'm not a car person and when planning the wedding I really couldn't get excited about having a fancy car for the big day. 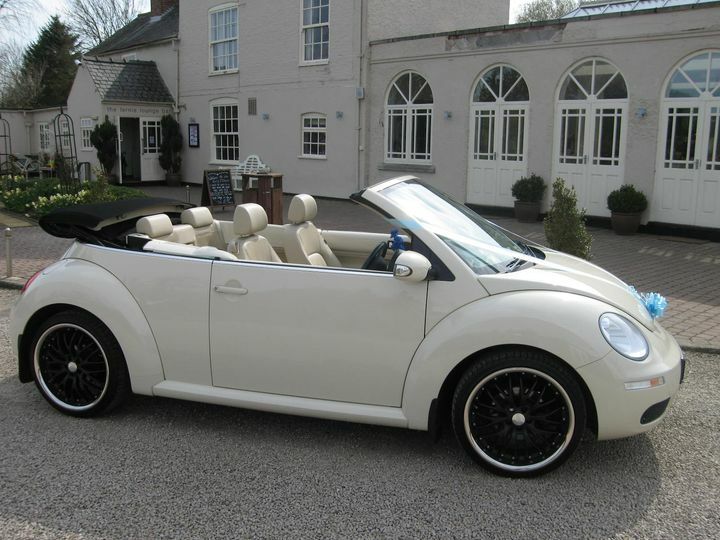 I eventually landed on Leicester Wedding Cars' Beetle and thought the car looked really sweet. Clive was really helpful and clear about the arrangements, which gave me great confidence. 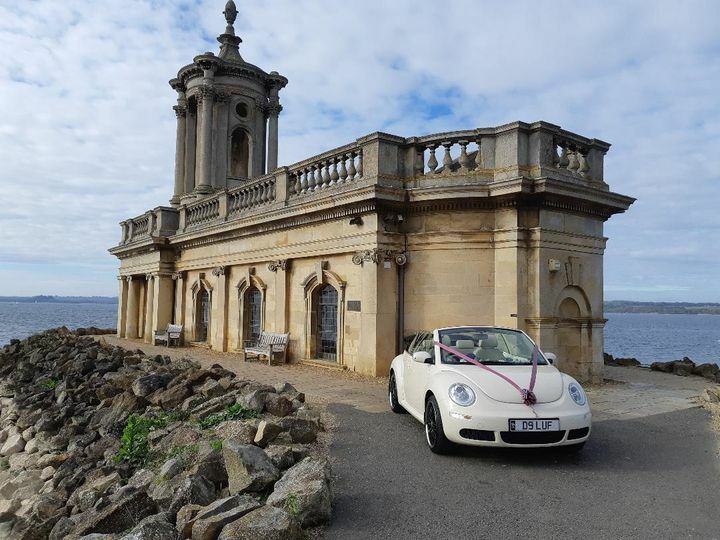 On the wedding day, Rodger, our driver, had checked out the route and knew exactly where to go, which scenic route to take and just the right moment to put the top down to protect my fine coiffured hair! 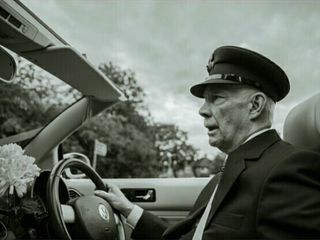 He was friendly and professional throughout the journey and put both myself and my Dad at ease. I didn't need to worry about anything. 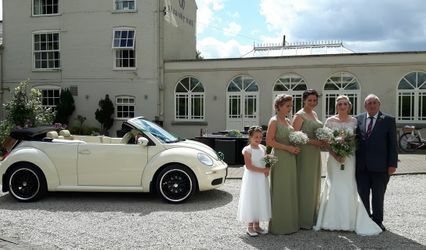 And the car was such a hit with our guests! I couldn't have chosen a better company or car for our day. Very polite, on time. They make you at ease, and welcomed, and patience. Fun time and happy! Thanks Liz for the review. A pleasure to be a part of your special day. Best wishes to you and Kosta for your future together. I would highly recommend LWC! Clive is the most loveliest man you could ever wish to meet! A real old school kind of guy who wouldn’t let you down. From when me and my now husband met him he was so friendly. A very steady driver and calming attitude was just what I needed on my big day! Clive kept in touch via email and made arrangements with times closer to the day. I am so pleased we chose LWC, you can’t go wrong! 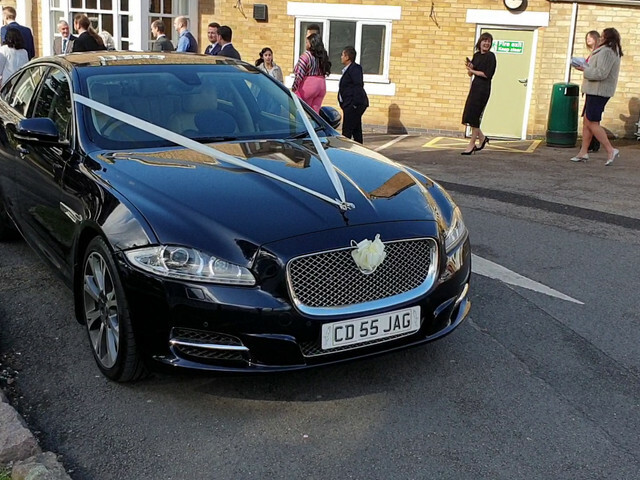 We had the Jag and I must say she is a beauty! 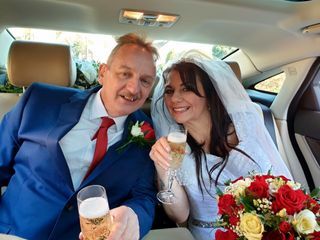 Plus the champagne drive back to our reception was great too! What more could you ask for really! Thank you Clive! Many many thanks for those wonderful comments. So pleased that everything was to your satisfaction. 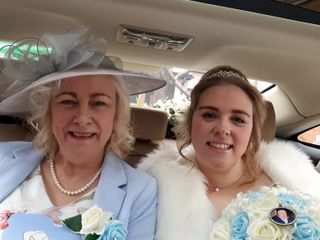 It was my pleasure to be asked to be a part of your big day celebrations and you looked stunning. My very best wishes to you and Elliot for your future together. 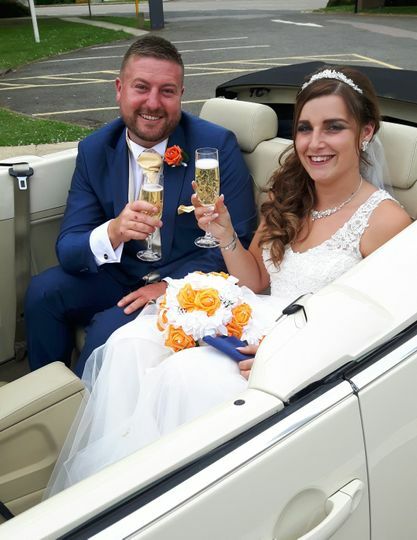 Hi Matthew & Alison, many thanks for those kind words and so pleased that you found our car and services to your satisfaction. May we take this opportunity to wish you both every happiness for your future together. Wishing you a very Merry Christmas and a healthy and happy New Year. Where to start.....we were let down by our original booking with another company. Phoned Clive and best thing ever. 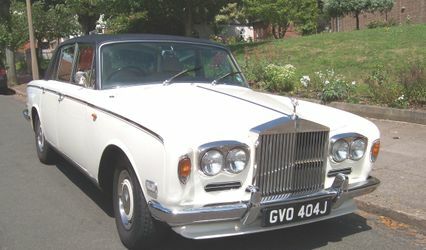 Great car, great guy, lovely chauffeured Rolls Royce to take us to our reception. 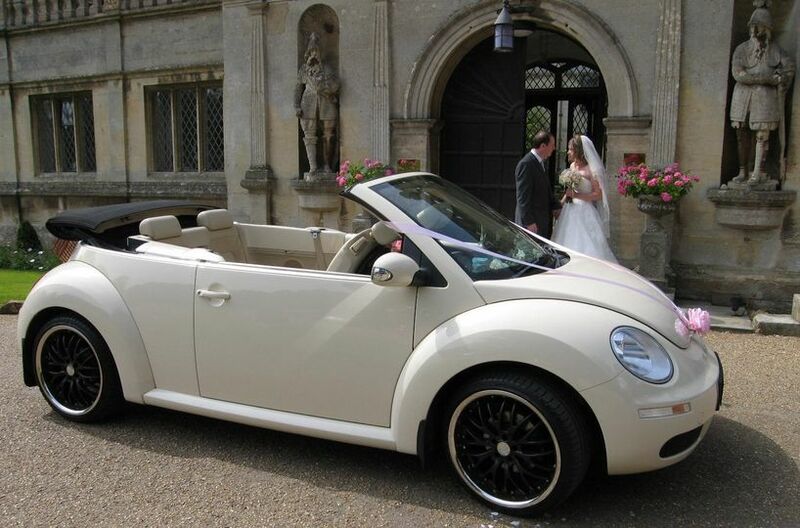 If you're looking for a great company, reliable, trustworthy and honest then phone Leicester Wedding Cars. Thanks Andy for those kind words, very much appreciated and it was a pleasure to be asked to be a part of your special day. Best wishes for your future together. Hugs and kisses to Paris, what a wonderful companion. Started to use my nice cars and services in 1999. I am always pleased when asked to be a part of someones special day. I find it a lovely happy and joyous occasion.